A retirement income calculator will indicate how much you need to be saving to fund your retirement plans. Why plan for retirement income? 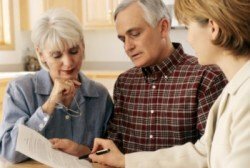 Retirement Financial Planning is the number one concern of many people in retirement, or pre-retirement, in the light of investment returns over the last couple of years. People are living longer and leading more active lives in retirement. As a result, it is more important than ever for you to think about where your income will come from when you retire. Think about Saving for Retirement and Investing for Retirement. When I retired I didn’t plan on stopping work completely, so income from part time work was factored into my retirement financial planning. But even if you never want to retire, you may still need a Retirement Income Planning Calculator. In retirement planning it is desirable to have more than one source of retirement income. The traditional sources are Social Security, Employer Pension, an Individual Retirement Account, and Personal Savings. These sources are becoming less reliable. Governments are under pressure to cut spending, fewer employers are offering defined benefit schemes, and saving is difficult if you also have to pay off debt. The challenge is "to cut your coat according to the cloth", and balance your income and spending. Here are some of the areas retirees and pre retirees should be discussing with their financial adviser. You need to talk to him/her about the contribution, withdrawal, and taxation rules governing your pension plans - Social Security, Roth IRA (Individual Retirement Arrangement), IRA, and 401(K). An important decision is when to draw from your investment accounts and Social security benefits. You may wish to invest a lump sum in an annuity contract from a life insurance company to provide a steady income for the rest of your life. You can use a retirement income calculator, in conjunction with your pension financial adviser, who will check your options and entitlements. He will also verify the rules governing your pension plan and social security. If you are in a company scheme he can liaise with the external company pension manager, the trustees, and the investment manager. 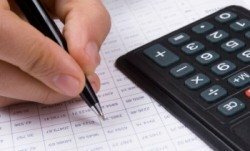 The following information will be input to a Retirement Income Calculator, to determine how much you need to be saving each month to fund your retirement plans. Current age and the age at which you plan to retire. It is important to take control of your retirement financial planning, and make decisions regarding your retirement income. Each person's needs are different, but having all the information about retirement investment options can help you make the best assessment regarding your retirement income Retirement financial planning is essential to support the lifestyle you aspire to. A retirement income calculator is a very useful tool for this purpose. Click here to access a Retirement Income Calculator. Use with your partner, and your investment adviser. For a full and accurate assessment of your personal finances, and any tax relief you may be entitled to on your pension contributions, always consult with a professional financial adviser. Looking for a retirement planning tool? I recommend this excellent checklist for use by yourself, with your partner, a group or with a retirement coach.